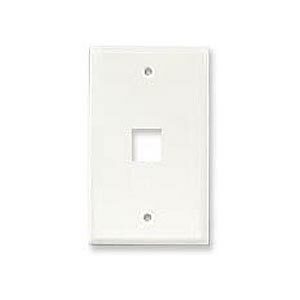 WHITE FACEPLATE FOR SINGLE RJ45. For use with RJ-45 or BNC jack wall boxes, this patch plate accepts a single keystone coupler. Also available in other arrangements and colors, see list below.